This car is the ultimate “cream puff”! One owner since new. Full documented service history. Mint inside and out, non smoker. You name it, it’s just gorgeous. This is your chance to carry on the tradition established by the first owner and reap the benefits of his ultra careful ownership. 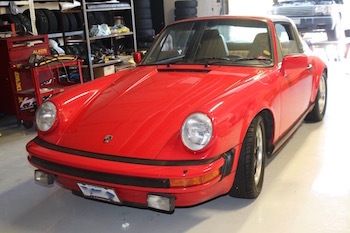 Buy this 911 Beauty for only $60,950.00 CDN. or $45,550.00 U.S.
All offers are gratefully received. We always make every effort to negotiate a satisfactory deal for both parties. Don’t miss out! To stay informed on cars just like this one, sign up for our email list.